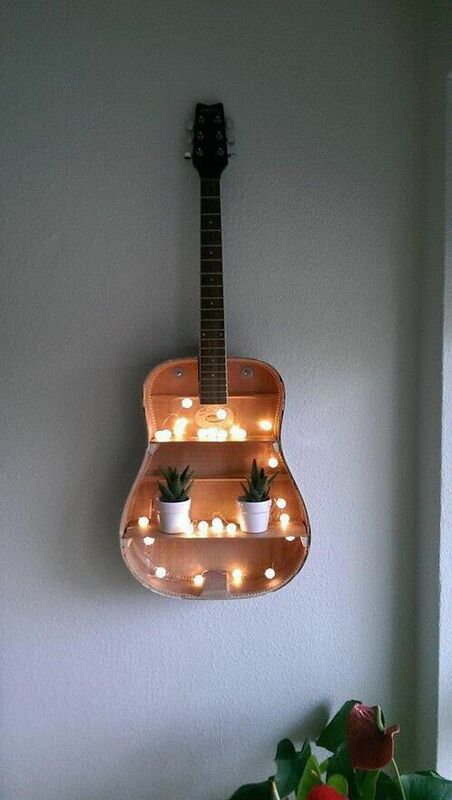 If you are one of those you probably will like these ideas that use of the guitar as a decor item. Even if you don’t play you will certainly find it cool to have one at home. You have plenty of options so you can choose the one that fits better in your house or your purpose. This is such an original idea. 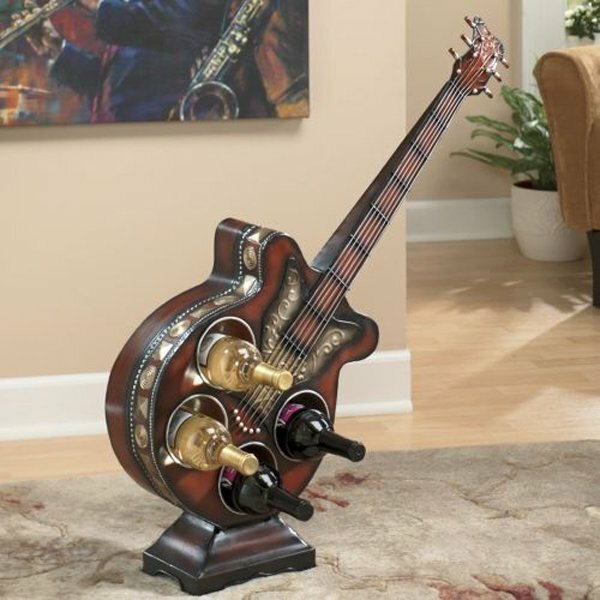 We bet you haven’t seen a wine rack like this before either. You friends are gonna love it. 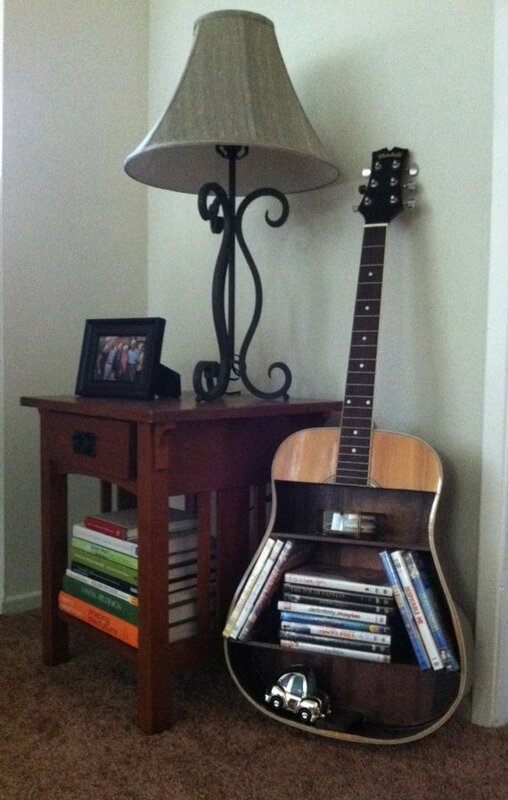 This is another great idea, Get some of your favorite books and display them on this crafty guitar book storage. It’s perfect for you to have your favorite books kept in a special place. 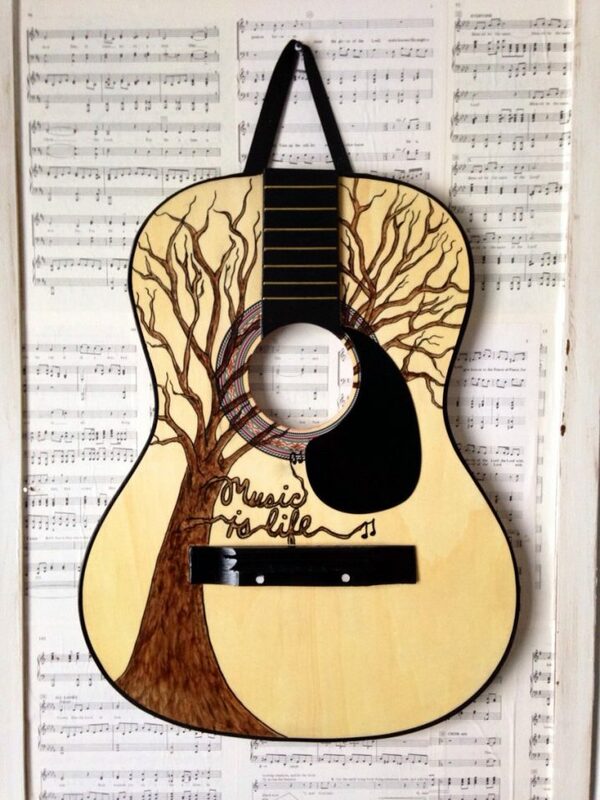 How cool is to plant inside your favorite instrument? 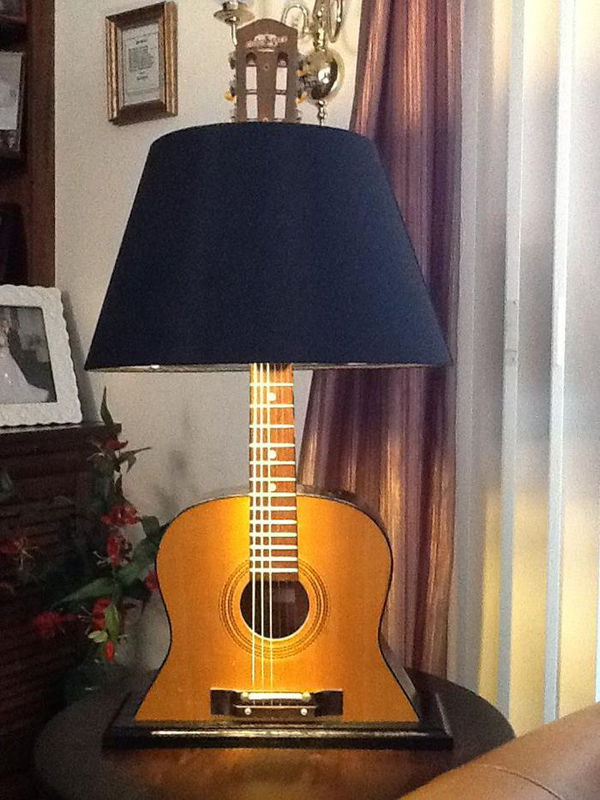 Here’s another unique use for the guitar in your house. We think it looks beautiful, don’t you agree? If you are looking for a more romantic look, try using candles of Christmas lights to compose this beautiful shelf unit. Guitars are intimately related to romance, is that so? 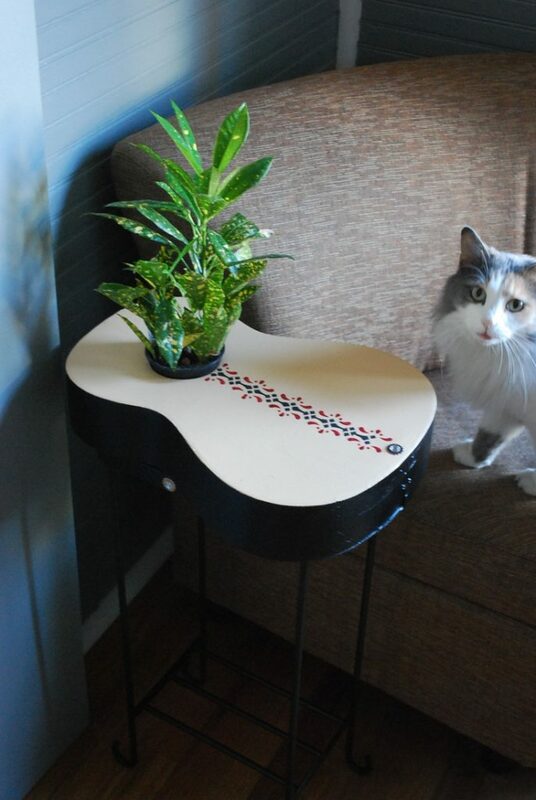 This is perhaps the most elegant use you can find for your guitar as a piece of decor. It is certainly a sophisticated way to show how much you love the instrument and make any ambient look sharp. Use your imagination and come up with more ideas to incorporate this iconic item to your decor scheme. We are sure that there are infinite options that you can think of. We found these to be so awesome that we had to share with you. If you want to get more inspired there are other great ideas here to make your favorite instrument stand out in your home like it does in your life.